Natural Health News — Humans can identify pesticides by taste, a new experiment has found. The researchers believe that the experiment is the first in which the tastes of 11 pesticides present in wines were detected by taste. 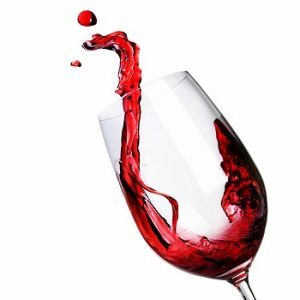 The study published in Food & Nutrition Journal, involved 195 blind tests carried out by 36 professionals from the wine and culinary industries. The wines were produced in France and Italy. Researchers , conducted by Professor Gilles-Eric Séralini and the chef Jérôme Douzelet examined 16 pairs of organic and non-organic wines produced in seven French regions and one Italian region. The same varieties of grapes were grown both organically and conventionally (with agrochemicals) on the same soils in neighbouring vineyards, in the same climate and in the same year. » A blind test of both organic and non-organic French wines, has shown that humans can identify pesticides by taste. » To their knowledge, say the researchers, this experiment is the first to show that humans can identify pesticides by taste, a skill which they say can be learned. The resulting wines were tested for over 250 pesticides. Out of the organic wines, only one bottle was found to contain traces of pesticides. In the non-organic wines, in contrast, 89% contained detectable pesticides, some at very high levels – mostly fungicides and glyphosate-based herbicides. The 195 blinded taste tests were then carried out with 71 different people on different days. Among the people who detected the pesticides, 57% were then able to identify the exact wine containing them. Organic wines were preferred 77% of the time. The pesticides identified included boscalid, cyprodinil, dimethomorph, fenhexamide, folpet and its metabolite phtalimid, glyphosate and its metabolite AMPA, iprodione, iprovalicarb, and pyrimethanil. The 3 most frequently identified pesticides were folpet, fenhexamide, and iprovalicarb. The pesticides alone or in mixtures were also diluted in water at the levels present in the wines. At least one pesticide mixture was identified as such because it was judged to taste different from water in blind tests: this held true in 85% of cases in which answers were offered by the professionals (147), and 58% recognised all of the waters that contained the pesticides. The professionals were asked to describe the taste of the pesticides that they were able to identify as being present. The taste of glyphosate, a herbicide often used in vineyards, was described as “strong dryness, acid, acrid, limestone”. The glyphosate-based formulation Roundup was described as tasting of “putrefied wood, drying, bitterness”. The most common descriptions of the taste of pesticides in general were a “drying” effect and “papilla blockade”, with the latter description being used by the researchers to describe an impaired sense of taste.